SINGAPORE – December 6, 2016 – TM Forum Asia – DGIT Systems and Inomial have today announced a partnership to deliver converged billing and fulfilment solutions to the global telecommunications market. This landmark partnership between two of Australia’s leading independent telecommunication software vendors aims to redefine the way carriers and ISPs order, fulfil and bill their customers, while extending DGIT’s renowned alignment with TM Forum principles and APIs. 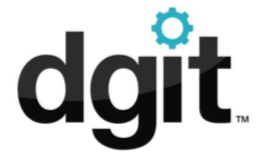 Greg Tilton, CTO of DGIT, explained that the partnership is expected to bring many benefits to existing and future DGIT customers. “Seamlessly integrating fulfilment and billing is a key requirement for modern carriers, and we’re excited to be able to provide a one-stop solution by combining the best of both of our platforms in a single, integrated, TM Forum compliant whole”. “We believe that combining best-in-class billing with best-in-class fulfilment will create enormous opportunities for our customers” agreed Mark Lillywhite, chairman of Inomial. “Working with DGIT will allow both companies to create new products, and to enter new markets, more quickly than either of us could have done on our own”. The partnership has come about as a result of ongoing joint implementation work with a significant regional telco. Both companies expect short term customer benefits from the partnership, including the ability for DGIT to provide TMF compliant billing solutions, and for Inomial to provide access to DGIT’s extensive catalog of integrations. DGIT Systems is the home of Telflow, the configurable fulfilment system for new Digital Service Providers and the fibre infrastructure operators they partner with. Built on latest IT Technology, Telflow is TMForum Conformance Certified and won a global TMF 2015 Excellence Award. Inomial develops Smile software, an integrated revenue and customer management platform for Telcos and ISPs. Established in 1998 and with customers in seven countries, Inomial provides a scaleable, modern automated billing platform that fully automates billing, rating, payments and collections.